If you have come to this website in search of Defying Gravity: The Paraellel Universe of T. Townsend Brown (aka “The Biography of the Man Whose Story Cannot Be Told”), please follow this link. If you are looking for the “Dispatches from the Parallel Universe” forums that operated on this site from 2005-2009, they have been restored (to new servers) and remain read-only. Find them here. Fear not, they have not been deleted. They have been moved to new servers. They remain read-only and are left online for future research purposes, i.e. the next poor fool who gets sucked into the rabbit hole. Don’t say I didn’t warn you. Issue 24 shows a painting of a huge flying saucer with machine-guns and swastikas, landed for maintenance on an air base strip. A headline explains: "UFOS of the 3rd Reich – Are Nazi Secret Weapon the Origin of the UFO Phenomenon?" They are not, but for more than 50 years now this theory re-appears regularly, each time refuted, each time resurrected as if nothing were said. Here it is again following an article claiming that there are indigenous inhabitants on the Moon and another that tells that UFOs are manufactured by a mysterious terrestrial super-intelligence who wants to save planet from ecological disaster. Go beyond the illustration and the sensationalist headline of the front cover and follow in a step by step guided visit about the claims in this article on the infamous Nazi flying saucers written by the journalist and ufologist Jean-Pierre Troadec. serious ufologists know about that, Jean-Pierre Troadec quite simply goes on as if the photographs were real. Over the next few months, I communicated these figures to a number of physicists around the world. To a one, they told me that such magnetic field anomalies could be caused by briefly-appearing micro-wormholes. They could think of no other explanation for the deviations. Prof. John Wheeler, of Princeton University, in Princeton, NJ, has given the name of "wormhole" to what he believes may be "transit tunnels" between different dimensions of reality. According to Wheeler, these wormholes may be only a giga-fraction of a square inch in size-the number one preceded by 33 zeroes, preceded by a decimal point. Wheeler says these mini-black holes, constantly blinking in and out of the geometry of space, are thought to be bits of "virtual matter;" that is, they can exist for a limited time only. Their counterparts-so-called mini-white holes – are virtual anti-matter. Whenever these two kinds of virtual matter build up to any extent, they immediately destroy themselves. Wheeler can offer no explanation as to why mini-holes appear, disappear, then reappear. 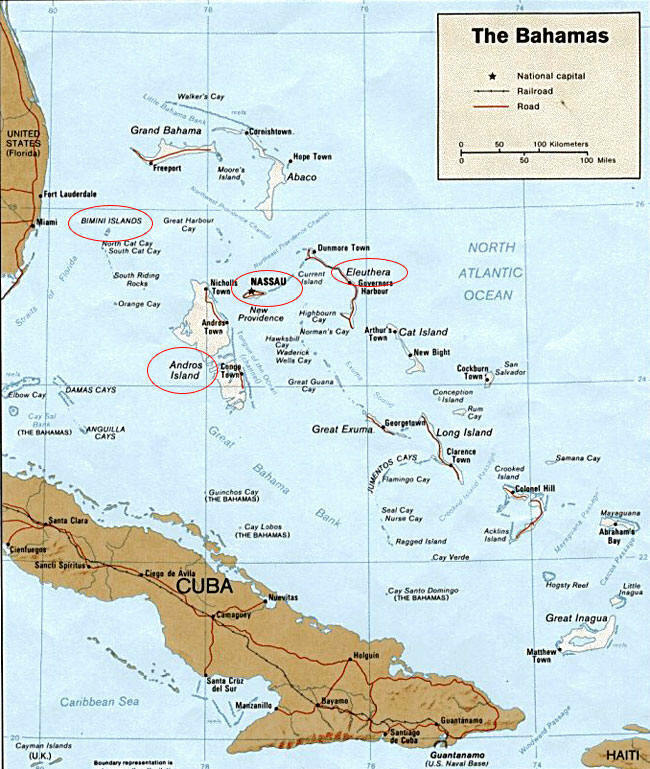 Too bad the map that comes with this site doesn't quite reach the western most tip of Cuba…. superintendent answers, you speak to him as follows: “Mr. with high school and college instructors trying to teach him how to think. The student was Neils Bohr. And I'm quite certain that's exactly what Sarah Palin had in mind when she said she didn't necessarily want to provide the actual answers to the questions she was asked during the VP debate. So Happy New Year, everybody. I just read about this in WIRED, in an article by Clive Thompson (who wrote about Townsend Brown and the lifters a few years ago). …and George W. Bush is just the Comissioner of Baseball…or, at least, these are among the possibilities that some leading physicists postulate might live among an infinite number of parallel universes. A recent episode of The History Channel's "The Universe" series explores the same concepts that we dance around here in our own "Parallel Universe of T. Townsend Brown." You can view the episode in short videos online. Some of the world's leading physicists believe they have found startling new evidence showing the existence of universes other than our own. One possibility is that the universe is so vast that an exact replica of our Solar System, our planet and ourselves exists many times over. These Doppelganger Universes exist within our own Universe; in what scientist now call 'The Multiverse.' Today, trailblazing experiments by state of the art particle colliders are looking for evidence of higher dimensions and Parallel Universes. If proof is found, it will change our lives, our minds, our planet, our science and our universe. The argument is presented that even the word "universe" is obsolete in cosmological terms, because the root "uni" means "one." So, now it's the "multiverse." Or maybe it's the "megaverse." Or the "infiniverse." Take your pick. Just, please, don't let George W. Bush be president in any of them. Come to think of it "Commissioner of Baseball" is probably over his head, too. A man whose memoir about his experience during the Holocaust was to have been published in February has admitted that his story was embellished, and on Saturday evening his publisher canceled the release of the book. And once again a New York publisher and Oprah Winfrey were among those fooled by a too-good-to-be-true story.